ScopioneUSA.com - Blog - Does a Cat Back Exhaust Really Work? It is true that an exhaust system which is more direct with fewer turns and bends will not only make the engine sound like it should, it will also increase the overall performance as well. However, before you make any changes to your exhaust system, you’ll need to check with your local laws to ensure that it will be legal. While that argument is present in many different discussions, when it comes to engine exhaust the answer is a solid “yes”. This is because the larger the passageway for the exhaust to travel, the more efficient the vehicle will run. 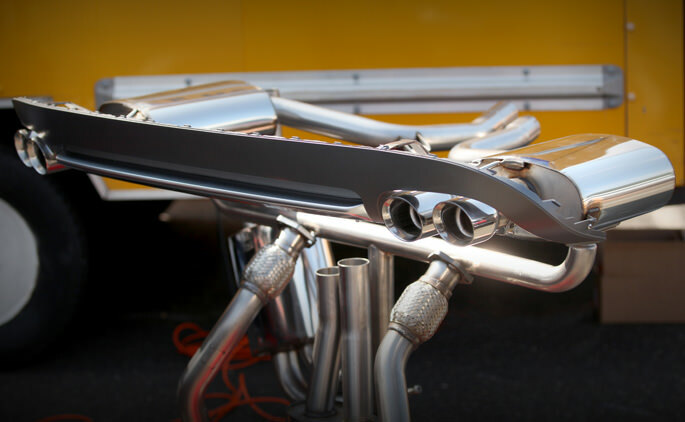 Unfortunately, standard exhaust systems offer the bare minimum in terms of airflow. By increasing the overall diameter of the pipes, you create greater horsepower for the vehicle. What is the Cat-Back Exhaust System? Basically, the cat-back is the most popular type of aftermarket exhaust system on the market today. A “cat-back” is essentially an exhaust system that is attached to a catalytic converter and runs near the back of the vehicle. 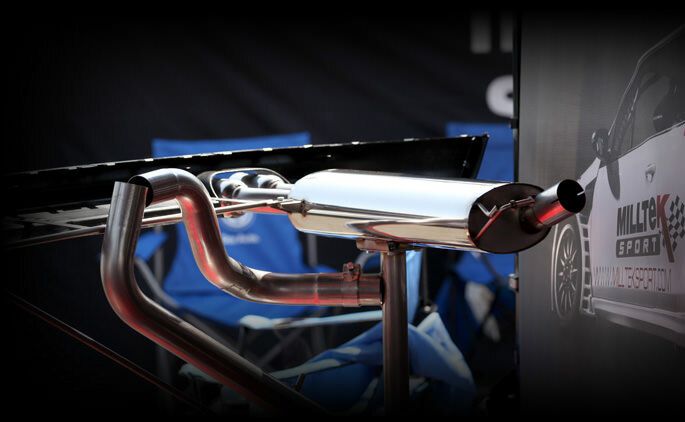 Most types of cat-back exhaust systems have the mandrel bent pipes, clamps and the muffler all in one. While most vehicles have a resonator in the system, the cat-back eschews this to create better airflow and a more rumbling sound. We’ve all see the fancy exhaust tips at the end of the pipe and probably wonder whether they actually increased the overall performance of the system. The truth is that while they look great, exhaust tips really do very little to actually improve the airflow from the engine. However, when properly installed they certainly look good and will augment the appearance of your vehicle. While a cat-back exhaust will not shoot fire out of the back of your car like the old “Batmobile”, if you take the time to remove the catalytic converter and muffler, it will certainly sound like your car is leaving a trail of flame behind it. For everyday situations, such modifications will probably get your car banned from the road. However, for those who enjoy racing their vehicle on the weekends in specified locations, these modification will certainly add more to the overall performance of your vehicle. At the very least, an intact cat-back system will have your vehicle sounding right and even increasing the horsepower just a bit. 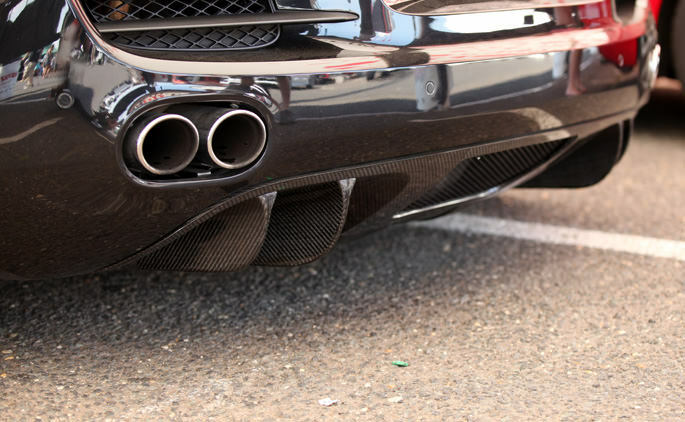 In addition to cat-back exhaust system, you may want to consider upgrading your vehicle by using carbon fiber auto parts or car accessories. Carbon fibre is very lightweight, yet stronger and more impact resistant than steel. There are carbon fiber aftermarket parts such as spoilers, lips, grilles, hood, and trunk as well as motorcycle parts such as side covers, panel, protectors, clutch and more. In fact, you can find many different types of aftermarket automotive parts and bike accessories that will fit your needs.